Our RMS Spectra 102 offers quick detection of blood flow signals at different sampling depths along with improved detection of cerebral blood vessels. 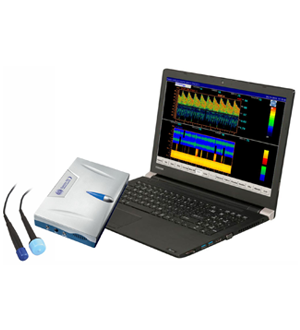 The RMS Spectra 102 is a USB compatible Transcranial Doppler. RMS manufactures the high quality Transcranial Doppler at affordable price. RMS is the leading manufacturer of TCD in India.